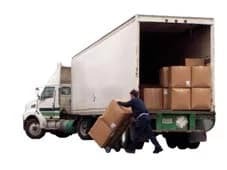 You can avoid the chasing around, and save yourself both time and money when you use Intlmovers.com. In a single submission, you can request international moving quotes from up to six companies for an International relocation to Spain. It will only take you a couple of minutes to complete the simple request form, and it won’t cost you anything. Best of all, the service is completely obligation free so if you don’t wish to accept any of the quotes you receive, it is up to you! The costs associated with an international relocation can vary a lot. It is worth doing a little bit of homework before you make your decision in regards to an international moving company. Compare the prices and services that are on offer and make an informed decision. Saves you time and money! Helps you get the best value! International relocators in Spain are logistical specialists. Their main business goal is ensuring safe, cost effective and efficient movement of your goods to and from locations all across Spain. They take care of that your possessions are well looked after. They also that take care that all the correct procedures are undertake to avoid any administrative or regulation delays.